THE LGBTQ+ GANG ! Hope everyone is living a super duper proud life , and loving whoever the hell they want to. GROWING FLOWERS ON MY FACE?! None of the products I use are particularly expensive because - a) I'm young and poor & b) Branded and expensive , doesn't necessarily mean better queens! Eyes - Superdrug Fantasy Queen of Darkness hair glitter pot. Also a shimmery lilac eyeshadow - which is sold out but here's one similar one. Eyelashes - Superdrugs own brand (cut in half so only on the ends). Faux Freckles - I used a mixture of water based face paint for the darker bits and Nyx liquid white eyeliner. I'm definitely no makeup artist , but hopefully this inspires someone to experiment a little. Let me know what you think ! Link: Just created a youtube channel guys, featuring this look as the first video - please check it out! 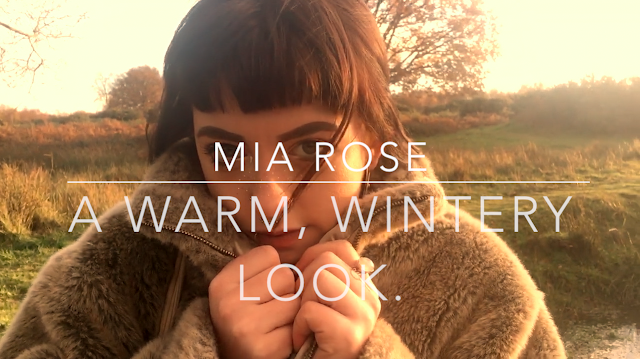 - A Warm Autumn/Winter look. I have been off the radar for a while now, but I am back with lots of looks to share! I am also thinking about putting up some of my artwork and possibly putting drawing videos up on my youtube channel also...but I cannot be sure just yet!